OLYMPIA -- The Succession Committee for the Association of Washington Business has named Kristofer T. Johnson as the association's next president and leader of the 8,100+ member business organization. Johnson will succeed Don Brunell, who will retire from the association after 28 years as the leader of the state's largest and oldest business advocacy group. Johnson will work closely with Brunell until the close of the 2013 calendar year and assume his new role Jan. 1, 2014. The committee conducted a nationwide search. Mel Russell, who led the succession committee, is the former CEO of Charter Title Corporation, a Vancouver-based company that covered eight counties in western Washington. He is also a partner in Aldercreek Vineyards, located in the Alderdale Horse Heaven Hills American Viticultural Area. Russell currently serves as chair of the AWB Board of Directors. In his message, Russell said, "After an extensive nationwide search, we are proud to announce the selection of Kris Johnson to lead AWB. He brings a strong blend of chamber and legislative experience here in Washington state. Kris is someone who understands the challenges and opportunities for AWB in the coming years." "We are, at the same time, grateful for the work of outgoing president Don Brunell, whose work and long-time dedication provides a solid foundation on which to continue the growth and development of AWB. His experience at AWB and as a chamber leader will serve the association's membership well in advancing the chamber's priorities," he said. "Kris also understands the value and importance of a strong advocacy program, ensuring the right policies are in place to attract and retain private employers in our state who can create jobs and grow their businesses," added Russell. Johnson brings more than 15 years of chamber leadership experience to his new role at AWB. 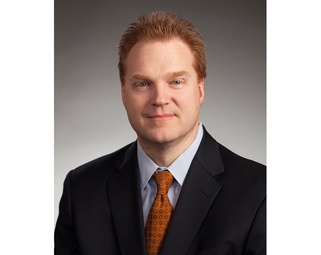 He first joined AWB in 2010 to serve as the association's vice president of operations, overseeing the organization's financial, membership and events divisions, as well as the nonprofit AWB Institute, which focuses on workforce development and issues key to private sector employers. During his first year at AWB, Johnson coordinated the association's reaccreditation effort. The U.S. Chamber of Commerce originally accredited the Association of Washington Business in 2005. When the chamber switched to digital accreditation, Johnson led the re-accreditation effort in 2011. Today, AWB is the only state chamber that has been accredited twice by the U.S. Chamber, both times with distinction. Prior to his arrival at AWB, Johnson served as president of the Saint Paul Area Chamber of Commerce in Minnesota where he led several key initiatives, including a bi-state coalition to support a multi-modal transportation system. There, Johnson was part of the Twin Cities leadership team that helped secure funding for reconstruction of the I-35 W Mississippi River Bridge. In 2007, the bridge collapsed suddenly during the evening rush hour, killing 13 people and injuring 145 others. AWB President Don Brunell said transportation improvements, energy, workforce and education and health care will continue to be AWB priorities. "Kris is unique because he has first-hand experience working on those issues at the state and local level both here in Washington and back in Minnesota," said Brunell. "He is widely respected by his peers across the state and nation and gained a wealth of experience while on staff at AWB. He can step in immediately and lead AWB forward." Prior to his Saint Paul appointment, Johnson led the Tri-City Regional Chamber of Commerce in Kennewick, where he served on the AWB Board of Directors. Johnson drew the attention of AWB leaders when he built and managed a comprehensive government affairs program that secured millions in state funding for transportation, higher education and other regional priorities. "Kris was in the eye of the storm on many critical issues impacting the Hanford cleanup and redevelopment of the Tri-Cities after the federal government switched from a defense mission to a clean-up mission at the Hanford Reservation," Brunell added. Energy is also a top AWB priority and Johnson has extensive experience dealing with hydropower, wind and solar electricity generation, smart grid and nuclear power according to Mike Schwenk, AWB Secretary-Treasurer. Schwenk recently retired from the Pacific Northwest National Laboratory in Richland and worked closely with Johnson during his tenure at the Tri-City Regional Chamber of Commerce. As a program manager for public affairs at the Spokane Regional Chamber of Commerce, Johnson led advocacy efforts on local ballot issues and developed a grassroots program. Rich Hadley, president of Greater Spokane Incorporated, added: "We quickly learned that Kris had great potential and is a natural born leader. He did very well while with us and we are not a bit surprised that he grew into the job of AWB president. AWB made the correct selection." In 2003, he earned his professional certification (IOM) from the Institute for Organizational Management and in 2009, was named a Fellow for the Ford Foundation's focus on Regional Sustainability Development. "I am excited, honored and humbled to serve in this new role for AWB. The association is widely regarded as the premiere business organization in Washington state," said Johnson. "AWB has a tradition of being a strong voice for business and the champion of free enterprise," Johnson added. "We have a great staff, outstanding board leadership and strong membership support, all of which is essential in this difficult economic time. I look forward to working with all of our public and private partners to build upon the many strengths of the association." Johnson and his wife, Katie, have three children and make their home in Olympia. A complete biography and high-resolution photo of Johnson are available online. Follow both Kris Johnson (@KrisJohnson_IOM) and AWB (@awbolympia) on Twitter and keep pace with the latest business news and policy discussions on the chamber's Facebook page. Formed in 1904, the Association of Washington Business is Washington's oldest and largest statewide business association, and includes more than 8,100 members representing 700,000 employees. AWB serves as both the state's chamber of commerce and the manufacturing and technology association. While its membership includes major employers like Boeing, Microsoft and Weyerhaeuser, 90 percent of AWB members employ fewer than 100 people. More than half of AWB's members employ fewer than 10. For more about AWB, visit www.awb.org.